Tenzan-no-yu Onsen is a huge bath and spa complex on the west side of Kyoto. 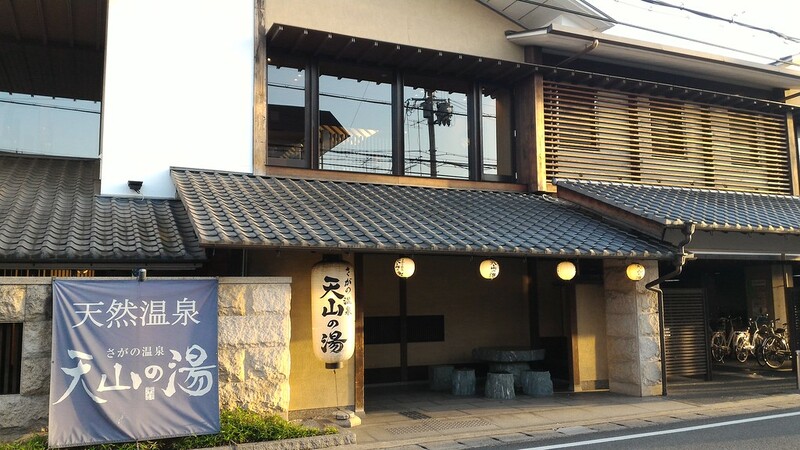 It’s one of the few onsen in Kyoto and it’s well worth the trek across town to relax here. Located in western Kyoto, a short distance before you get to Arashiyama, Tenzan-no-yu is an actual onsen (natural hot spring bath). The onsen water comes from a well drilled 1200 meters below the city. The onsen water is a rich tan color and is said to be good for a variety of conditions. You can enjoy this pure onsen water in two rock-lined rotemburo (outdoor baths). Otherwise, the water in the other tubs is normal Kyoto water, which is just fine. In the indoor bathing areas, there is a wide variety of spacious tubs and individual washing areas. There is also a huge sauna, the largest we’ve seen anywhere. A few times a week, two attendants come into the sauna and perform a short manzai (Japanese standup comedy) route routine. Then, they sprinkle fragrant water on the hot rocks and fan it over the patrons. The second time they come around, you can stipulate the number of times they fan you – 10 is a good number (after that, you’ll probably find it too hot). Once you’re done with the baths, you can relax in a comfortable chair or head into the restaurant for a full meal or snack. The restaurant serves a pretty serious menu of tasty Japanese food. I know people who actually travel across town just to eat here! You can also get a massage in one of the adjoining massage rooms. Visit the Tenzan-no-yu English website to see some great pictures of the baths and other common areas. Tenzan-no-yu is a bit of a trek from central Kyoto. If you want to go by public transport, a good way is to take the Hankyu Line to Omiya Station and then change to the Keifuku Dentetsu (Randen Line), which is the tram line that heads to Arashiyama. Get off at Arisugawa Station and walk south for about 50m (past a convenience store) to reach Sanjo-dori Street. Take a right and walk about 100 meters and you’ll see it on your left. A taxi from central Kyoto will cost about Y2,000. Tell the drive you want to go to天山の湯. 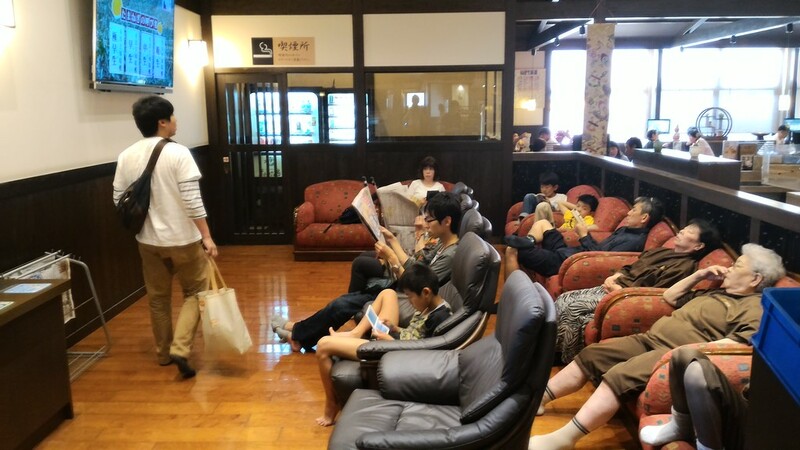 For information on what to do in a Japanese sento, see our Kyoto’s Best Sentos page. Y2,000 taxi ride from Downtown Kyoto; tell the taxi drive you want to go to 天山の湯. 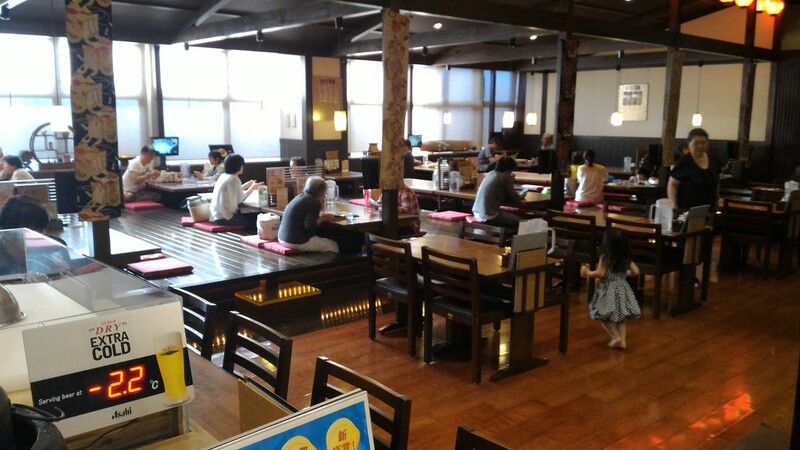 :: Check availability and pricing for hotels near to Tenzan-no-yu on Booking.com or Agoda.com. Tenzan-no-yu Onsen is located in Kyoto’s Arashiyama district. See our complete list of things to do in Kyoto’s Arashiyama district, including places to eat, nightlife and places to stay.